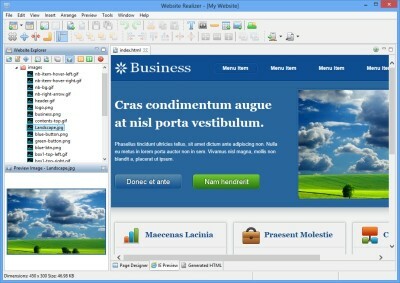 Website Realizer, a website builder, lets you build websites which work on desktop, tablet and mobile devices by dragging and dropping images, media, then adding text. 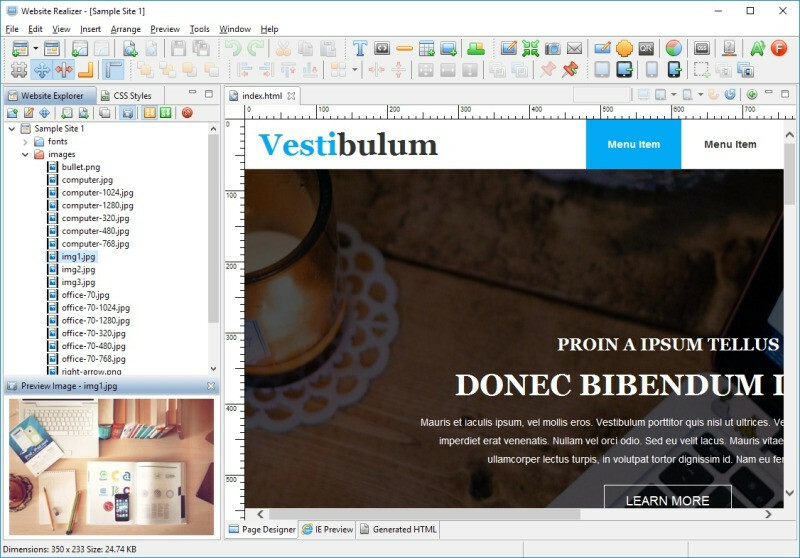 This website builder automatically creates all HTML code. It comes with necessary tools to create a website and can update your links automatically. Includes a set of website templates and navigation bars. You can publish your site using FTP, SFTP or FTPS.